Home New York Giants New York Giants: Did The 49ers Go After Odell Beckham Jr.? When the New York Giants traded Odell Beckham Jr. to the Cleveland Browns, it was a shocking moment. Not just because they had traded a player that was one of the current faces of the franchise, but because they sent Beckham to Cleveland and received a rather weak haul in return, only getting two draft picks, neither of which are actually great picks, as well as average safety Jabrill Peppers. The Browns weren’t the destination that was popularly predicted as a landing spot for Beckham earlier in the offseason, when the trade was just a rumor. A rumor that didn’t seem credible because of the offseason prior, when Beckham trade rumors seemed to be the main story and continued on for months until the season started and Beckham eventually signed a new, massive contract with the Giants. 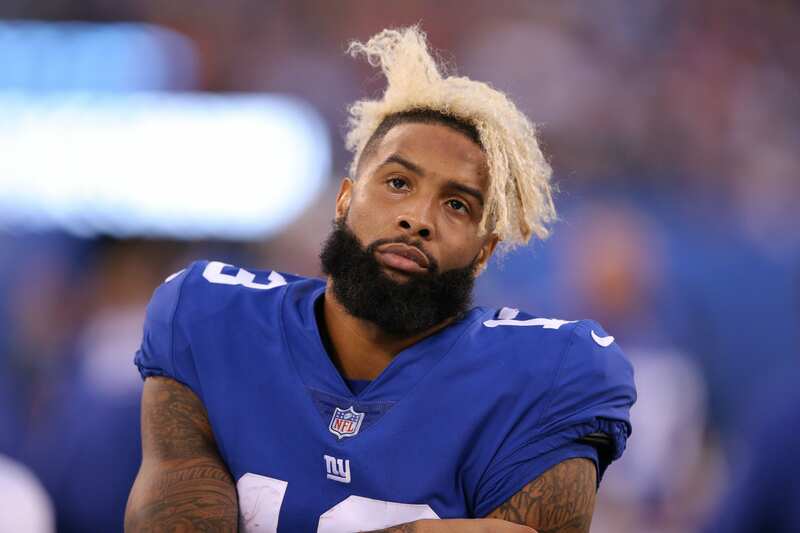 Beckham was more commonly linked to a trade with the San Francisco 49ers, but that never happened and the Giants agreed to a deal that at worst has been called a robbery. Strangely enough, however, 49ers CEO Jed York claims that the team did indeed go after Beckham an that the deal didn’t fall through just because of a lack of trying. “We were aggressive. But I think [the Giants] wanted different things than we had to offer. I think it would have been very hard for us to just give up a first-round pick and not get a ton in return, other than just the player, knowing that the second pick in the draft is a very, very valuable pick,” said York, on Sunday. It says something about how other teams value Beckham. Maybe, it seems, Beckham isn’t valued as much by other teams as some predictions would have guessed. It’s surprising, after all, that the 49ers would take the second overall pick and spend it on a rookie instead of trading it in a one-for-one trade that would give them Beckham. GiantsNew York GiantsNYGOdell Beckham Jr.